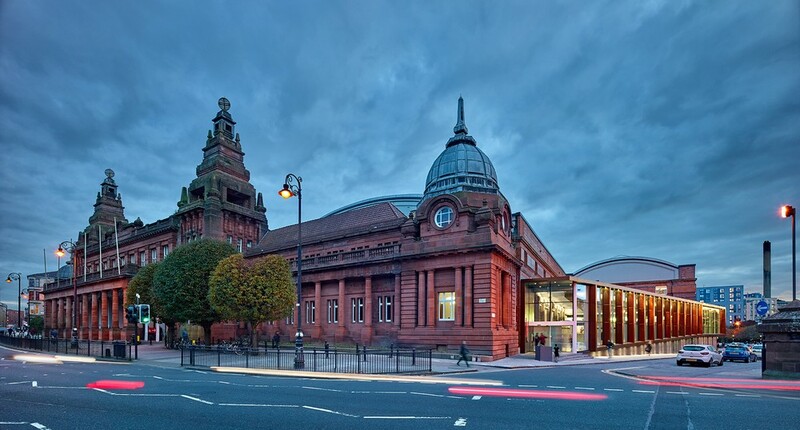 Following a large-scale redevelopment one of the Scotland’s best-loved historic cultural spaces Kelvin Hall is enjoying world-class success for its innovative combination of culture, education and sports in the same multi-use venue. 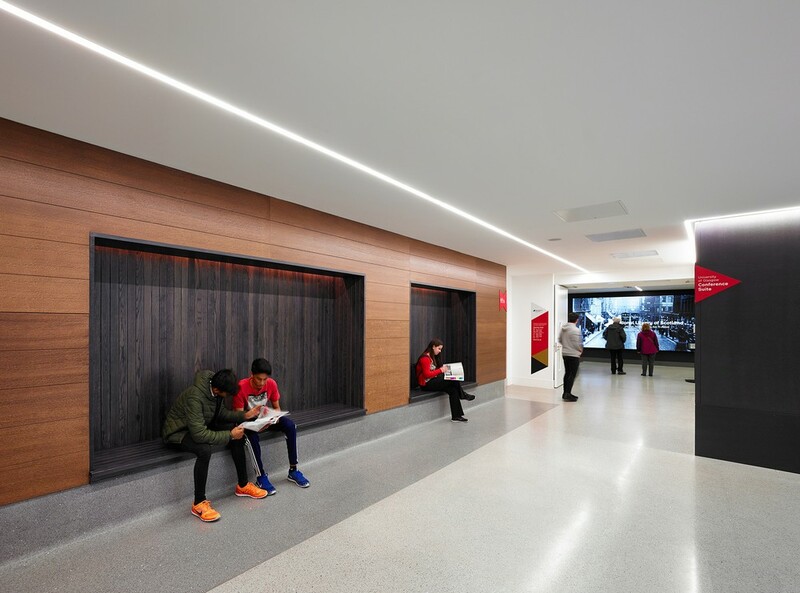 As part of a multidisciplinary team, Graven collaborated with Page\Park Architects working on the interior design of specific spaces, environmental branding, exhibition design, signage and wayfinding. 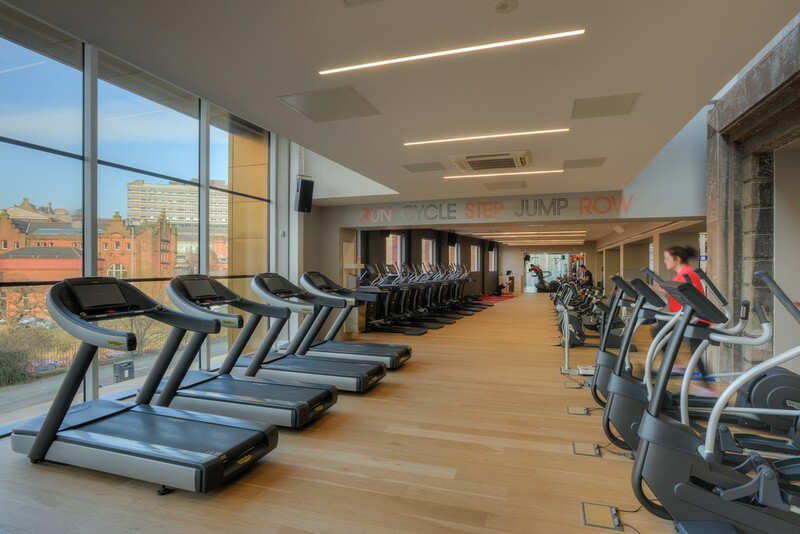 The £24.5m redevelopment project transformed Kelvin Hall into a centre of cultural and sporting excellence, encouraging participation in, and engagement with, the wide range of amenities housed within. It now attracts around 25,000 visitors per week. Graven worked as part of a multi-disciplinary team to tackle the unique design challenges Kelvin Hall presented and their strong creative partnership with architects Page\Park and successful relationships with the multi-disciplinary team, client and stakeholders were key to the success of Kelvin Hall. Graven’s existing relationship with Glasgow Life and their involvement in producing the Glasgow Club brand guidelines also contributed to the success of the project. 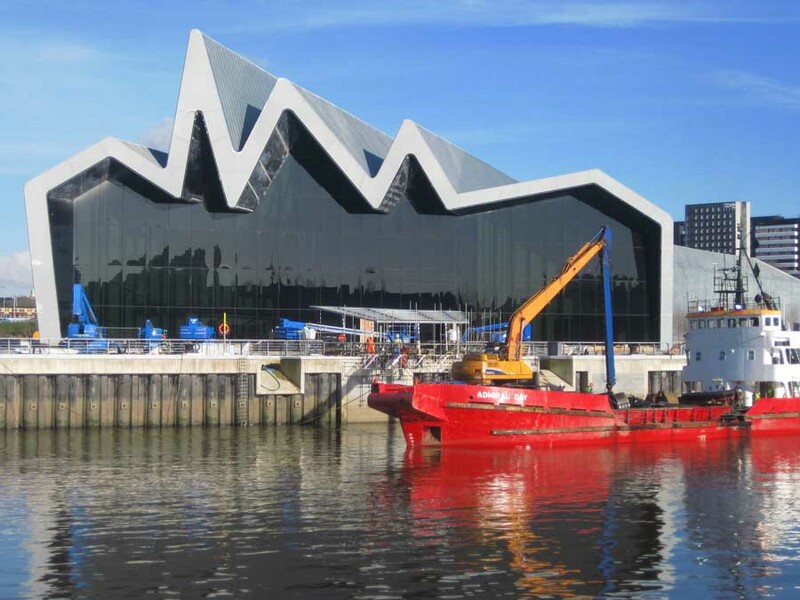 Glasgow Life’s Infrastructure Support Manager, Alex Mclean said: “The innovative Partnership model at the new Kelvin Hall presented a challenge to all involved with the project. 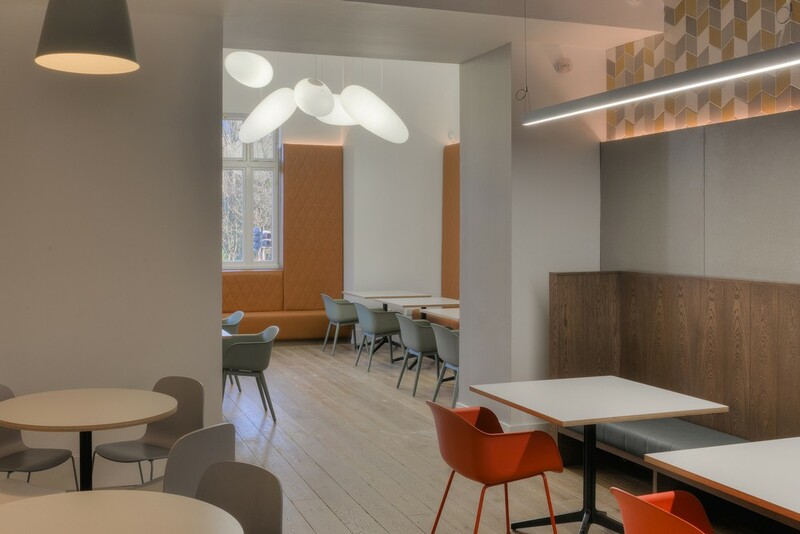 Graven, as part of a multi discipline team, were asked to balance the potentially conflicting demands of a diverse range of functional, corporate and audience focused requirements. The new interior is coherent, legible and attractive while satisfying all the requirements of the clients brief. 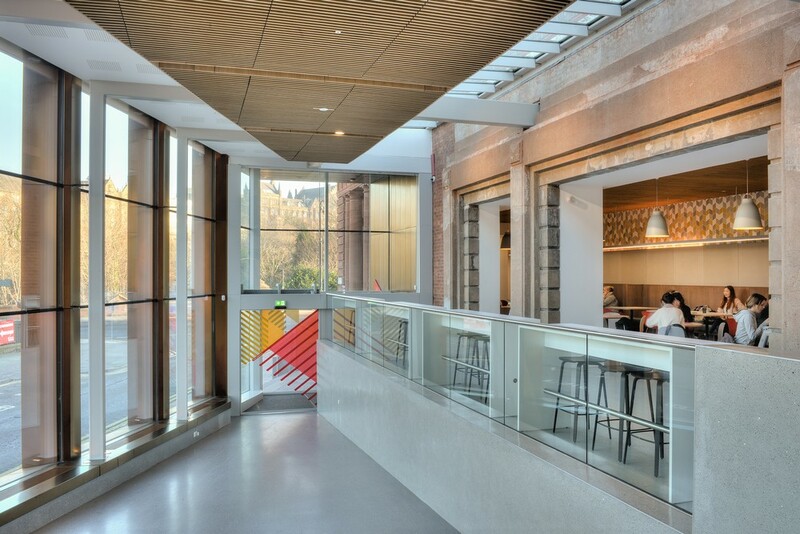 Phase 1 of the Kelvin Hall redevelopment has seen a dramatic extension added to the West of the building and a complete transformation of the original interior. This phase saw approximately one third of the building transformed into a multi-use Sport, Culture and Education building. 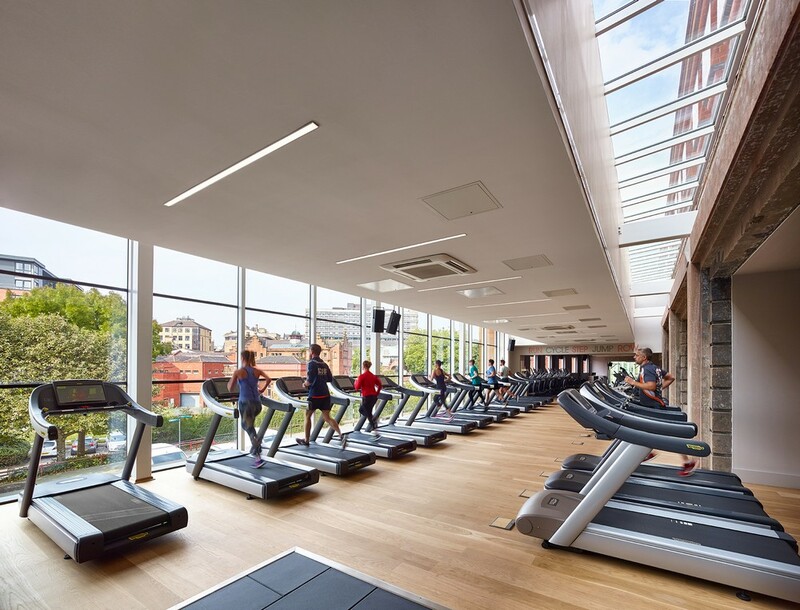 A state-of-the-art Glasgow Club gym and community sports centre was created – the largest and most advanced Glasgow Club facility in the city. Page\Park Architects’ design for the extension and refurbishment forms a grand ‘Avenue’ through the building, with facilities arranged on either side. 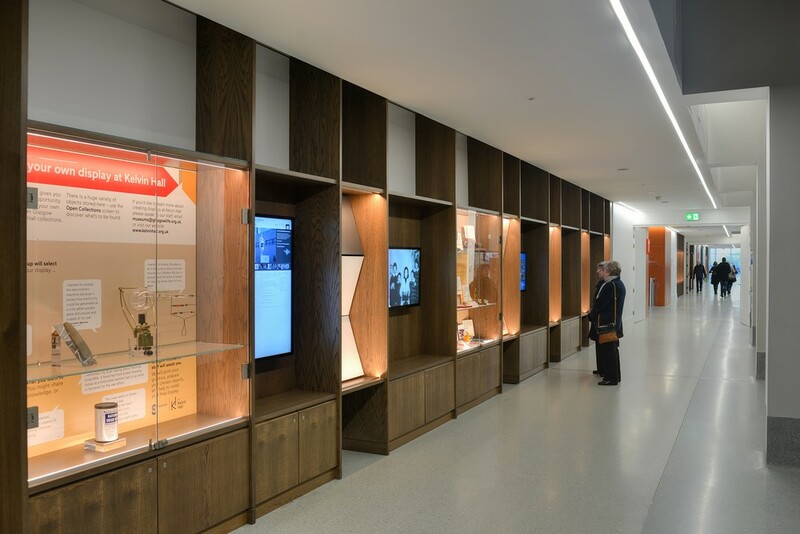 Graven treated this 100m long circulation space as an opportunity to enrich visitors’ understanding of Kelvin Hall. 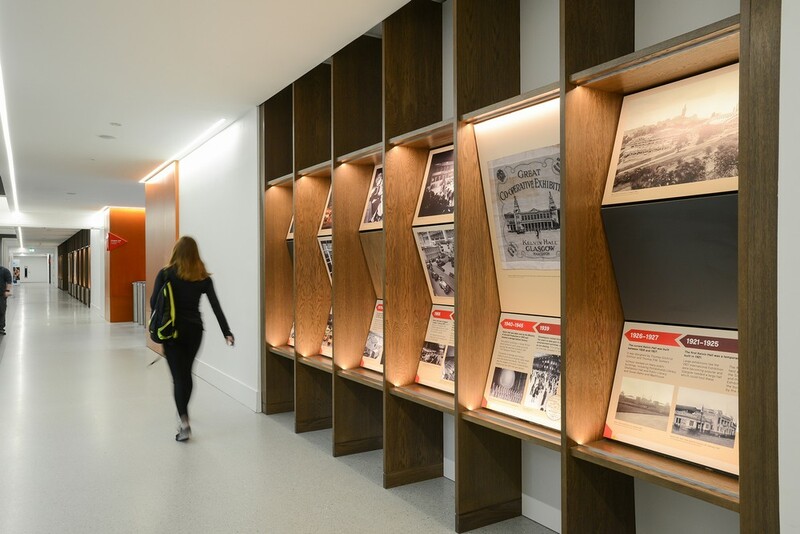 The past, present and future is represented through interpretive panels, audio visual screens and selected objects from the partners’ collections. Graven captured the stories associated with the building and its vast array of uses. This encourages links and interaction between stakeholders in the building and creates unprecedented cross-museum curatorial collaborations. Graven also designed the ‘Collections Showcase’ and its inaugural exhibition. 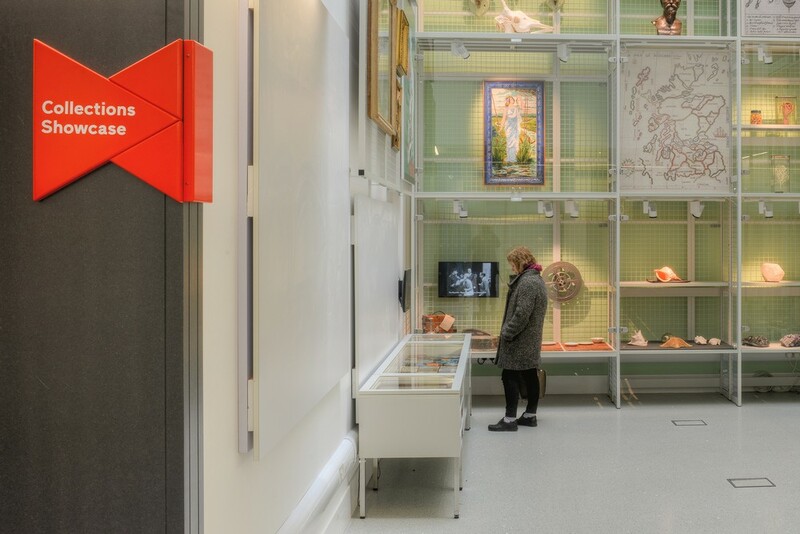 The Collections Showcase uses a lightwell the full height of the building and an archive racking system as its main display structure, allowing the building partners to highlight connections between their very different collections. The curatorial partners enjoyed the way in which the solution allows visitors to view the objects from different levels. 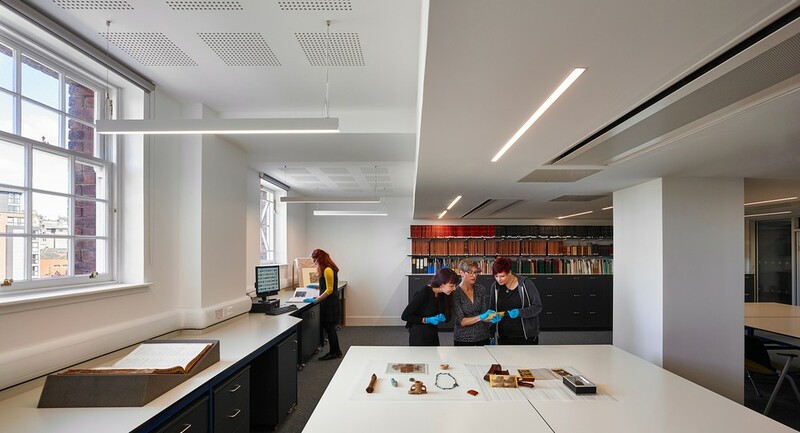 Accessibility to the vast archive collection is unique in this project and Graven’s approach makes it easy for visitors to engage with otherwise unseen treasures. The materials palette is simple and architectural and Graven’s fit-out details help to enhance the inherent dramas and complexities of the architects’ scheme design. 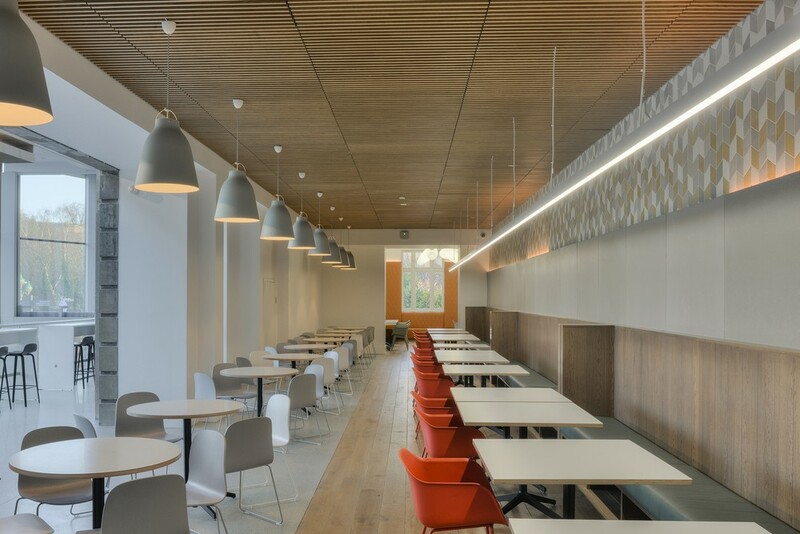 The café, reception and shop take advantage of the exposed original stonework and combine it with solid oak, terrazzo, decorative tiles and pendant lamps to make a space that is easy for visitors to spend time in. The café has already become an established meeting place for the diverse mix of people who are drawn to Kelvin Hall. 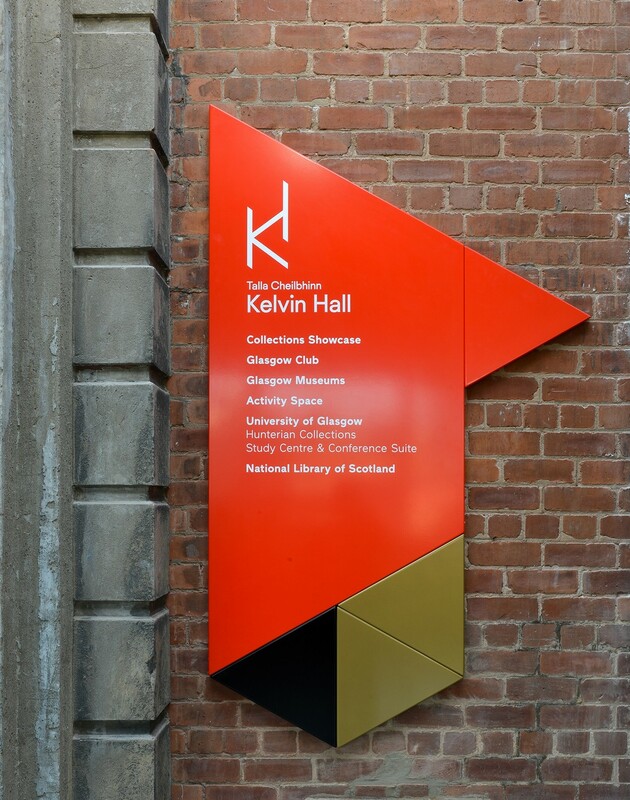 Graven’s environmental branding and wayfinding signage for Kelvin Hall take their lead from the building’s existing brand and visual identity, combining triangular forms with striped patterns to add a layer of dynamism and movement to the environment, which is in keeping with its half-cultural and half-sporting use. Phase 1 of Kelvin Hall has won the RICS Awards 2017 Tourism and Leisure category as well as the overall RICS Awards 2017 Project of the Year and was one of eight buildings in the running for the prestigious AJ100 Building of the Year Award 2017. 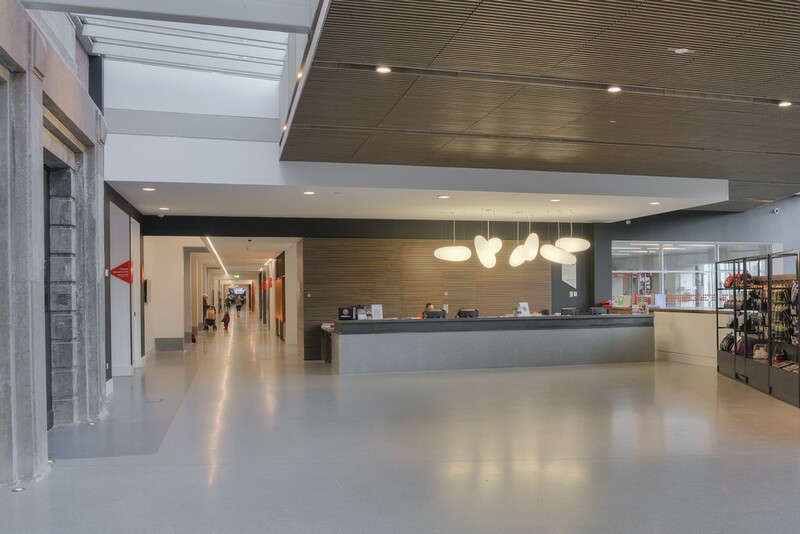 Graven has been working collaboratively with architects, contractors and developers delivering integrated design solutions on complex redevelopment projects for over 30 years. Graven work particularly well as key partners with other design disciplines, as part of a multi-disciplinary team on ambitious projects, such as Kelvin Hall and City of Glasgow College. 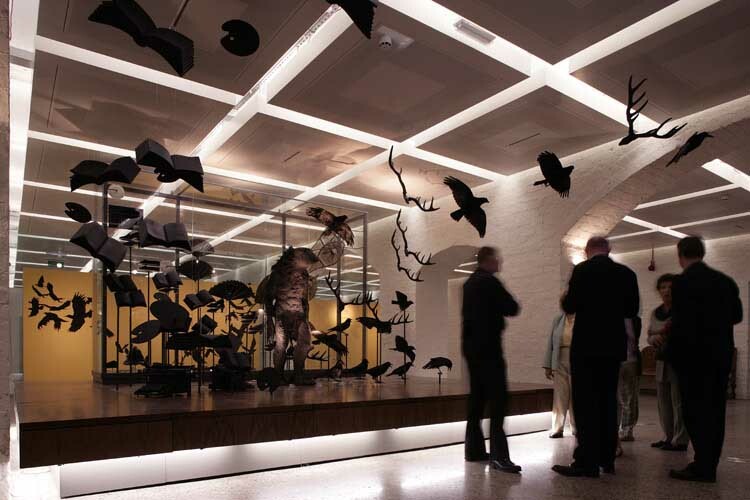 Their expertise in cross-functional spaces has proved to be extremely valuable; the crossover of 2D and 3D expertise connects building users to their environments and delivers spaces that people like to spend time in. With over 30 years in experience, multi-award-winning design studio, Graven, continues to help build some of the world’s biggest brands. Graven is a cross-disciplinary design studio of 2D and 3D specialists – with over 30 graphic, exhibition and interior designers and architects – designing brands across all dimensions including visual brands, interior and exterior spaces. 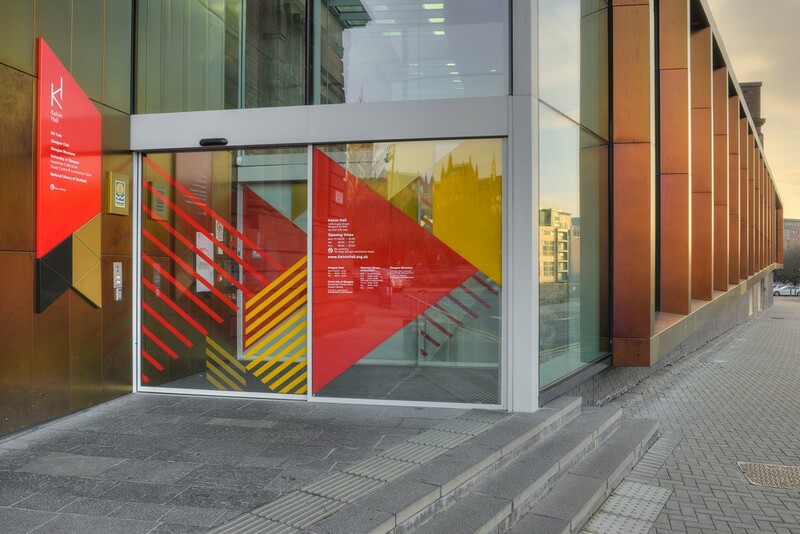 Graven was one of the first UK design studios to strategically integrate brand-thinking and communications into the design of environments and places. Today they are industry-leading experts creating successful visual brands and interior spaces across retail, leisure, corporate and public sectors including Banking & Finance, Hotels & Leisure, Education & Health, Luxury Goods and Competitive Place. The Kelvin Hall on Argyle Street Glasgow is a Category B-listed building and one of the largest exhibition centres in the UK. It opened its doors as an exhibition centre in 1927 and was used for musical performances before becoming Glasgow’s International Sports Arena prior to moving to the Emirates Arena as part of the Commonwealth Games and then the home to Glasgow’s Museum of Transport from 1987- 2010 prior to moving to Zaha Hadid’s Riverside Museum. 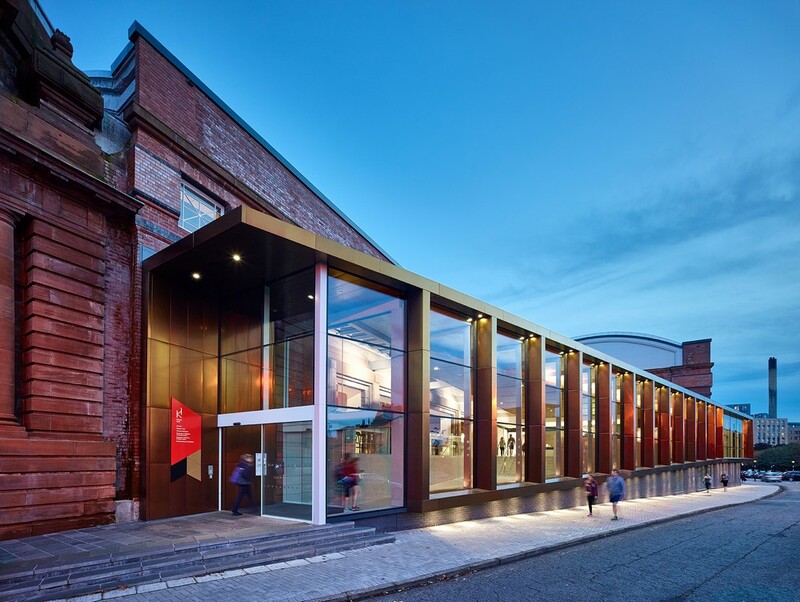 Phase 1 of Kelvin Hall reopened to the public in 2016, as a centre of cultural and sporting excellence with a combination of culture, education and sports in the same multi-use venue. 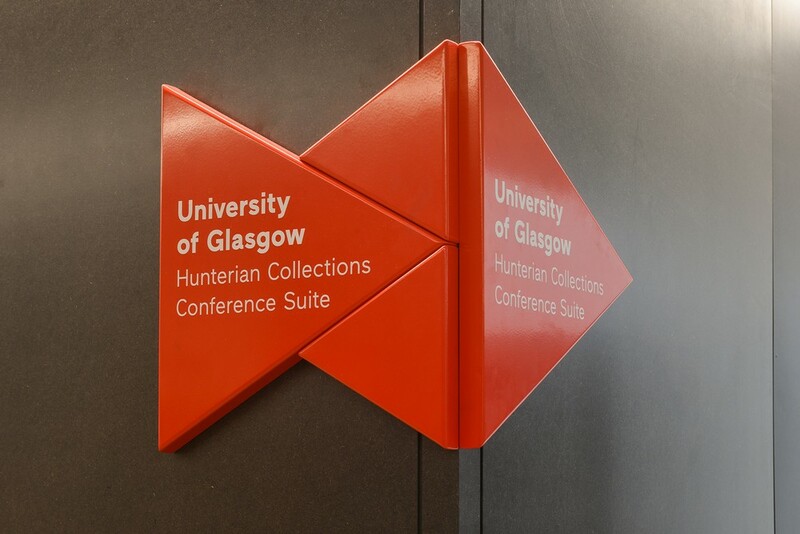 A partnership between Glasgow Life (Glasgow Sport and Glasgow Museums), University of Glasgow (The Hunterian) and National Libraries of Scotland (Moving Image Archive). £60m plan to transform Kelvin Hall Government ministers will be asked to back a £60m plan to transform the Kelvin Hall building into one of the UK’s biggest museums, reports the Evening Times today. Glasgow Life has applied for permission to work on the Category B-listed building, which closed in July 2013. The proposals for the former International Sports Arena are by Page Park Architects, who designed the Maggie’s Glasgow building just to the west. 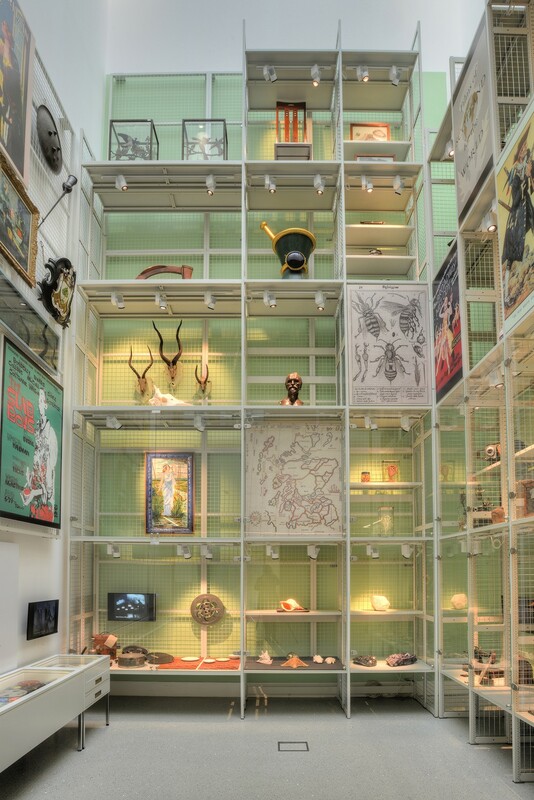 The project will result in the building becoming home to 1.5m treasures from the city’s collections, from Glasgow University’s Hunterian Museum and the Scottish Screen Archive. Members of the city council’s planning committee are expected on 6 Aug 2013 to agree to ask the Scottish Government to approve listed building consent to allow work to start. If approved the first phase of the work will involve a comprehensive redevelopment and refurbishment. Kelvin Hall dates from 1927 and replaced an earlier timber and brick structure built for the Glasgow International Exhibition of 1901. Two of the later brick additions on the west elevation will be removed and a new extension will be created at the Burnhouse Road side of the building. A feature window extension will be formed at the entrance that previously gave access to the Transport Museum. Substantial work will also be carried out to the inside of the building, giving it a new lease of life. The Kelvin Hall building stands opposite Kelvingrove Art Gallery. Kelvin Hall housed the Museum Of Transport until the exhibits were transferred west to the new Riverside Museum. The national indoor arena has now also been built in the East End of the city for the Commonwealth Games, leaving the existing sports facilities looking dated and less attractive.